Caijing Magazine’s 16th issue of 2018 (published on July 9) featured a cover page with a man hauling a piggy bank atop a cracking iceberg. The headline read: “The Worries of Local Debt Hanging High Overhead.” The cover page article likened China’s local government implicit debt to an iceberg, with a small portion publicly visible and a large volume hidden beneath the surface. 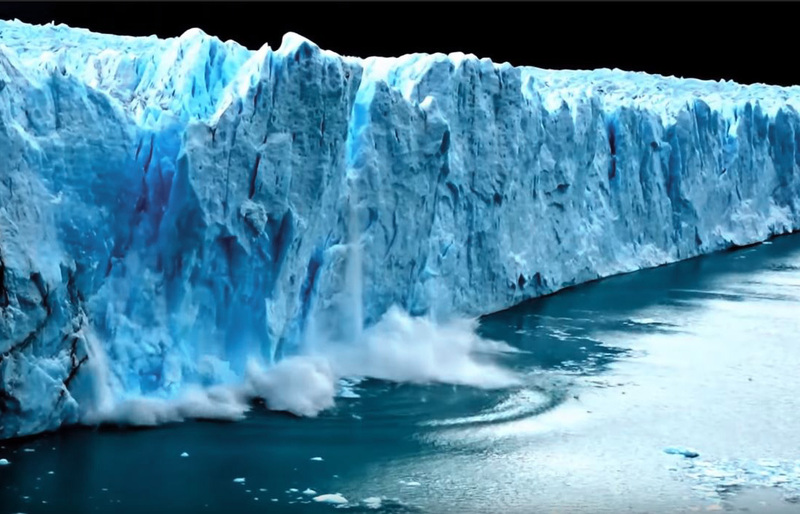 In the article, a local government economic researcher noted that “faint cracking sounds” can be heard from the “icebergs” in provinces such as Guizhou, Yunnan, and other regions in western China. On July 16, the state-run China Securities Journal reported that multiple government departments are launching investigations into local government implicit debt. The investigations would span at least all city-level governments. Random inspections could be conducted at the county and district levels. The purpose of the probe is to get to the bottom of local government implicit debt risks before measures are formulated to address the risks. 1. The various government departments in the Chinese regime use different standards to calculate local government implicit debt. Hence, no official data on implicit debt has been published. 2. Reports from third-party organizations note that many Chinese local governments owe debt that exceeds the 60 percent figure that is regarded as reasonable by international standards. According to China’s Ministry of Finance (MoF) data, central government debt ratio was 36.2 percent at the end of 2017, far below the prudent 60 percent level. Liu Shangxi, the president of the Chinese Academy of Fiscal Sciences, believes that local government implicit debts encompasses a very broad scope of items, including loans for construction work, consumer projects, policy financing guarantee, local government financing platforms, shantytown redevelopment projects, public-private partnership (PPP) projects, government purchase of services, local “zombie” state-owned enterprises, poverty alleviation projects, and pension payments. In some regions across China, a considerable number of local government financing platforms do not have the means to be independently solvent and generally lack a stable stream of income. These platforms rely on government and rolling financing to survive, and have substantial hidden debt risks. Another research team led by Bai Zhongen, the executive associate dean of Tsinghua University’s School of Economics and Management, concluded that the “corporate debt balance of bonds issued by city governments” was about 47 trillion yuan as of the end of June 2017. If the implicit debt of local government financing platforms is included in the Chinese government’s debt leverage, then the Chinese government’s debt by the middle of 2017 is 65 percent of the GDP, passing the 60 percent debt threshold that is the international standard. 3. The central government has only effective in curbing public debt. Local implicit debt, however, is several times that of public debt, and implicit debt is now a “bottomless pit” due to years of accumulation. 4. The debt risks of the western Chinese provinces has worsened. Guizhou is the province with the most severe debt risks, be it public debt or implicit debt. The Sino-U.S. trade war does not appear to be de-escalating in the short term, and in fact, could escalate due to the Chinese Communist Party’s natural inclination to retaliate and not show weakness. The trade war has already caused China’s stock markets to plummet and the renminbi exchange rate to the U.S. dollar to fall sharply. Meanwhile, signs that China’s economy is continually worsening keep emerging. In the first half of 2018, several companies have defaulted on bonds while peer-to-peer lending platforms are shutting shop one after the other (at least 57 in July and 80 in June). Also, civil servants in some parts of China have carried out protests to demand their wages, and retired military veterans held demonstrations outside government buildings in Beijing and elsewhere to ask for welfare benefits promised to them, and complain that their rights have been abused. 1. The CCP elites do not seem to have a solution for defusing the Sino-U.S. trade conflict or preventing it from adversely affecting the already troubled Chinese economy. Presently, Beijing seems to be stalling for time with the U.S. But delaying tactics are merely stopgap in resolving the trade war and China’s economic woes. The local implicit debt situation is already very severe and would only grow more serious with time. And the CCP elites currently do not have a grasp of the full picture to begin tackling the problem. 2. According to the data from the investigations cited in the Caijing article, the total Chinese government debt by the end of 2017 was over 60 trillion yuan. Based on our understanding of the CCP regime, the actual debt figure is likely much higher. In an April article, we estimated China’s implicit debt in 2017 to be four times the official debt balance (16.47 trillion yuan), or about 82.35 trillion yuan (99.56 percent of China’s 2017 GDP). We based our estimate on official reporting of the situation in the provinces of Inner Mongolia and Ningxia, where implicit debt in some cities and counties was three to four times higher that of their public debt. 3. As the Sino-U.S. trade war escalates, China’s exports would decline sharply and local governments would generate far lesser revenue. In the past two months, local governments in Inner Mongolia and Guizhou have already defaulted on so-called city investment bonds. As local governments collect less revenue, the probability of local governments defaulting on bonds would rise sharply. If cash-strapped local governments delay paying wages to civil servants, the CCP will run into law enforcement and “security maintenance” problems. In this scenario, Chinese society would likely see tremendous change.